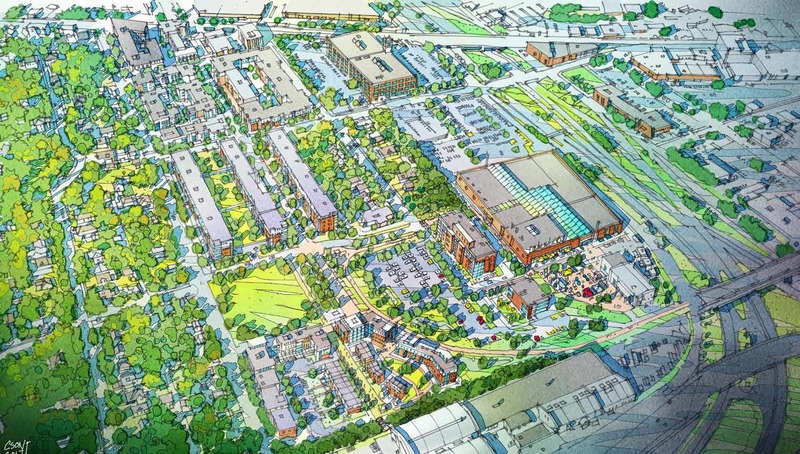 Towerside Innovation District is situated at the crossroads of the entire region, and fittingly, it represents a crossroads in the way we build buildings and infrastructure, neighborhoods and communities, economies, and prosperity. We are leveraging tis unique opportunity in order to create the building blocks of a sustainable neighborhood - facilitating the transformation of this area into a productive, sustainable, and compelling part of the economy and the community. This in turn will foster and grow the capacity of the region’s innovation ecosystem. 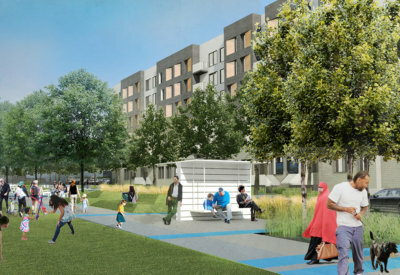 By creating an interconnected network of systems for storm-water management, heating and cooling, energy, transportation networks, and public green spaces, the district will create a model for a net positive neighborhood. These developments will leverage the integrated district-scale infrastructure systems and the latest building technology to create restorative projects that lower energy use, protect natural resources, and reduce carbon emissions. 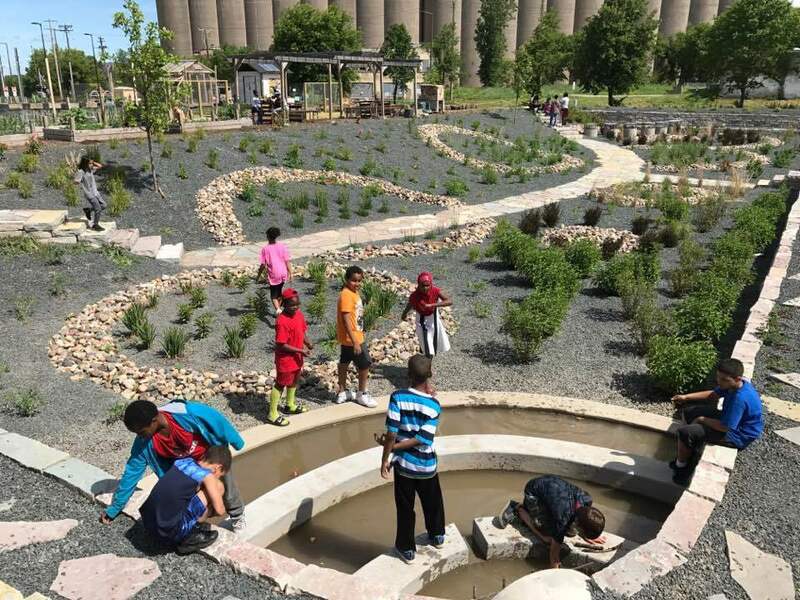 The projects supported by this integrated infrastructure will provide an array of jobs, multiple housing options, research and learning spaces, as well as variety of ways for people to engage, connect, and play. 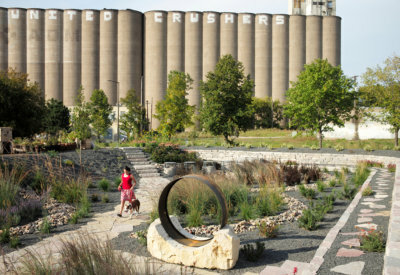 Green Fourth Street is a catalytic project emerging at the center of Towerside: Minneapolis-Saint Paul’s Innovation District. 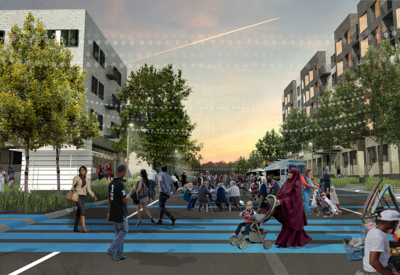 It will be a distinctive new urban front yard for over 2,000 new residences, existing and planned businesses, and will serve as a main street for a dense, walkable, mixed-use and transit-oriented district as a whole. Green Fourth Street is the most important and visible driver in the redevelopment of this District serving area businesses, area resident, visitors, and the public. 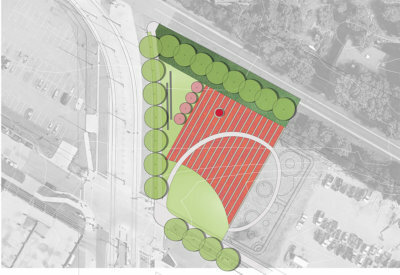 The project is a one-half mile long stretch of 4th Street SE public right of way between Malcolm Ave SE and 25th Ave SE which will feature complete street design strategies, placemaking features, transit connections, pedestrian-oriented amenities, and will become the highlight Towerside’s public green space network showcasing the latest sustainable and livable TOD principles realized at a district scale. The District Stormwater System captures and cleans polluted stormwater that drains from a two­-block area near the Prospect Park light rail station. Runoff from 8 acres of private land will be captured and treated in two biofiltration basins and stored in a 206,575-gallon underground tank for future re-use. 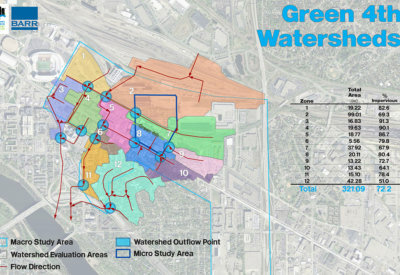 Access to a re-use supply line and storm water treatment has been made available at each parcel. 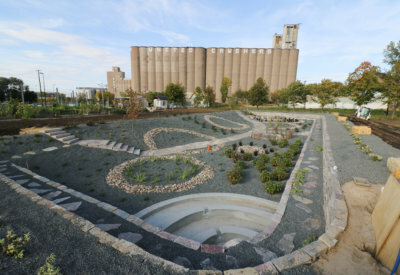 The larger basin also serves as a unique public green space. 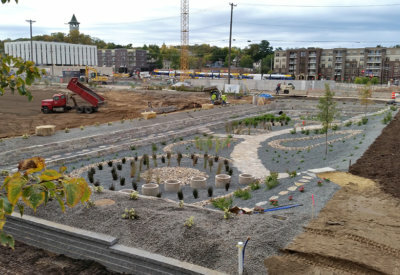 This District system is a sustainable approach by the MWMO and four participating private landowners that lowered the cost of stormwater treatment and created more opportunities for stormwater re-use projects in the District. 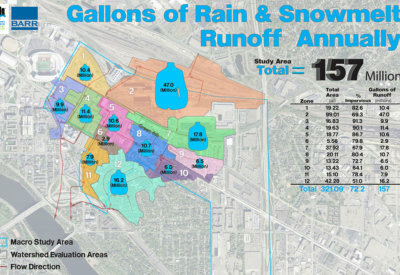 Each participating property owner contributes funds equal to or less than it would cost them to treat their storm water on site to achieve the management practices that equate to a 50% credit on their city stormwater utility fees and agrees to easements for the shared system on their property. 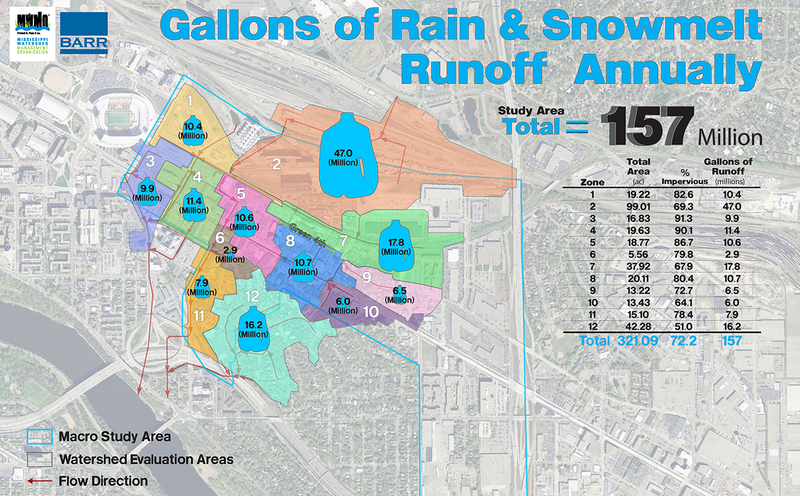 An expanded District Stormwater and Minneapolis Parks system would manage an estimated 47 million gallons of stormwater runoff from over 21 acres of private land in the Malcolm Yards development. 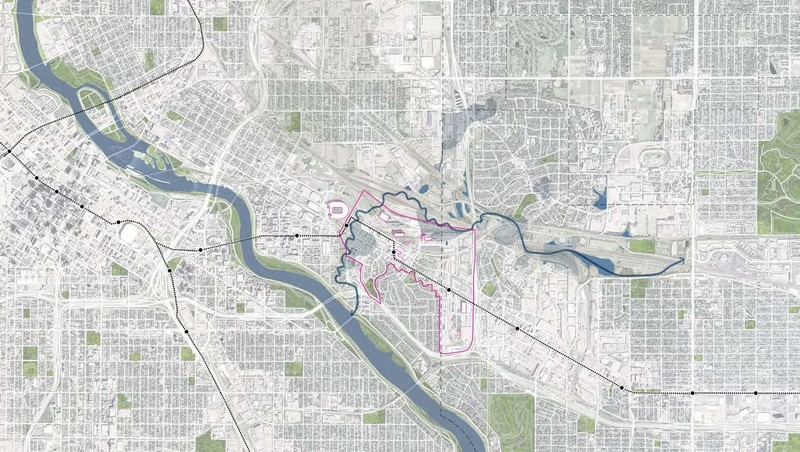 This initial system concept manages a 100 year storm event while simultaneously expanding habitat benefits, reducing heat island effect, builds a direct connection for residents to engage with water, and transforms stormwater into an asset. 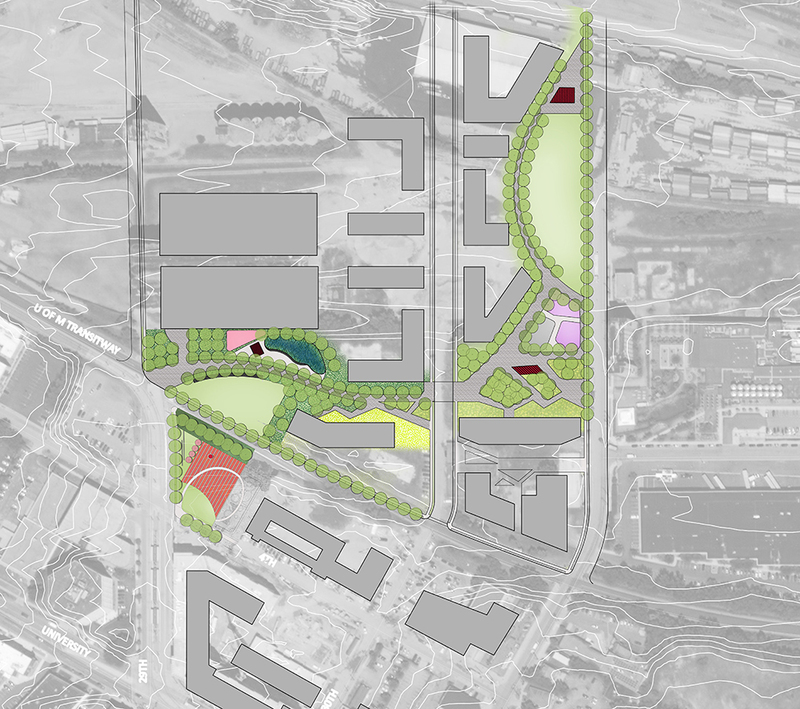 Greenspace in the heart of the city -- or in this case, in the heart of a new innovation district -- can create vitality, improve wellness, increase property values and build identity for an area. 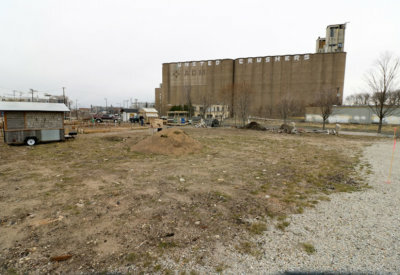 This signature green space will embrace and support the Towerside Innovation District vision of “the new century nexus of live, work, learn, research and engage.” Not a typical neighborhood park, this signature greenspace will be innovative in its form and development, and a replicable model for greenspace amenities in other high density, mixed-use areas. 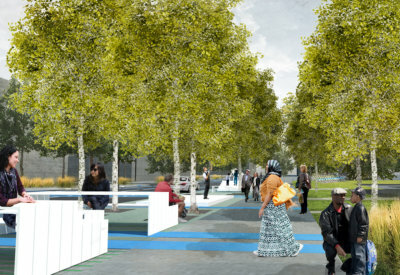 As part of the district greenspace it would reflect innovation itself on multiple fronts with limitless possibilities; demonstrating stormwater treatment, inclusion of an art-oriented theme to reflect area arts institutions or a place where expression of local culture and diversity can be experienced. 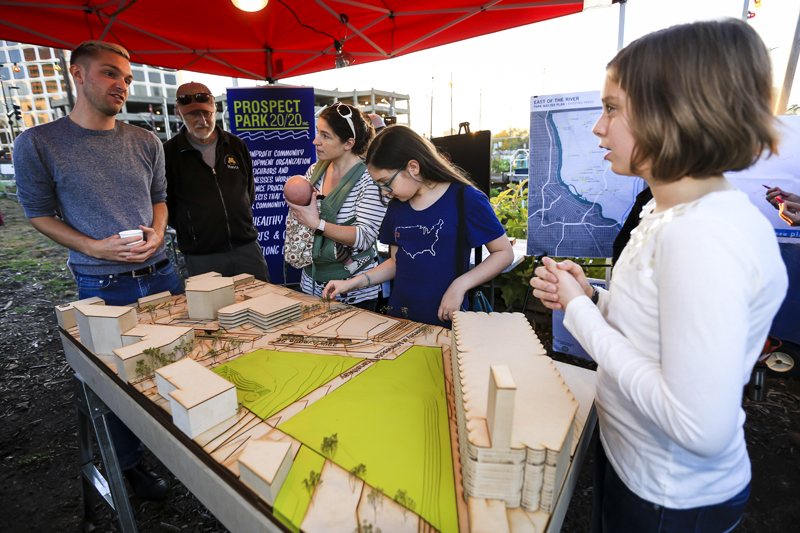 Visit the Minneapolis Park and Recreation Board's East of the River Park Masterplan site to learn more about the new Towerside Park and the Bridal Veil Regional Trail projects as well as exciting plans for both Tower Hill Park and Luxton Park. 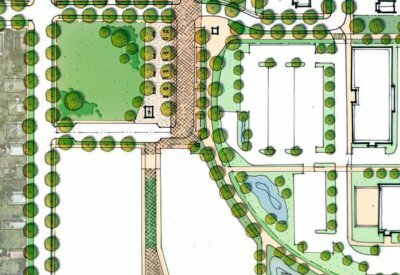 The City of Saint Paul is planning to develop a new 1.5-acre park at the corner of Sharon Ave SE and Emerald Street SE. The New Park at Westgate will sit south of Franklin Avenue at 700 Emerald Street and include bicycle trail connections to Franklin Avenue on the north and Wabash Avenue on the southeast. 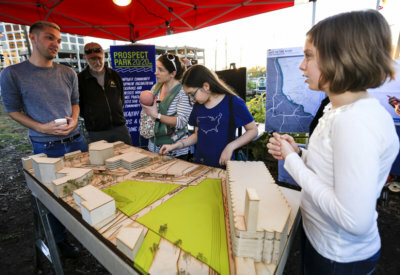 Located a few blocks south of the Green Line Westgate LRT Station, The New Park at Westgatewill be made up of two new public parks as well as three new streets bordering the former 12-acre Weyerhauser lumber site being developed by Plymouth-based Dominium. 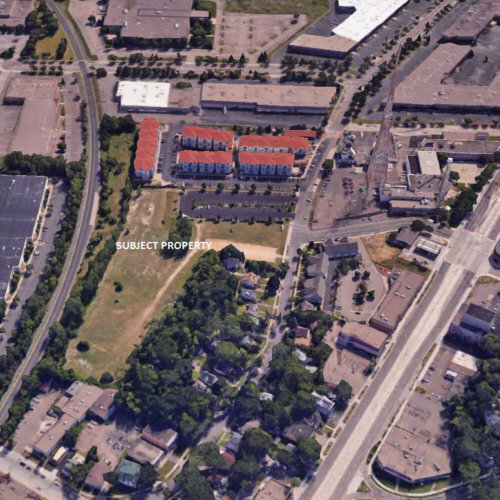 Affordable-housing apartments for seniors and working families is proposed for the Dominium development. 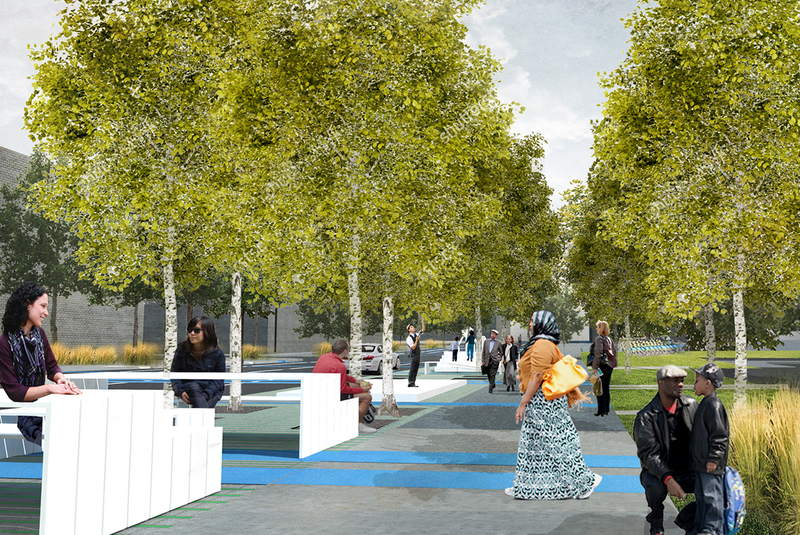 In tandem with this development project, the City will advance plans for construction of the New Park at Westgate. 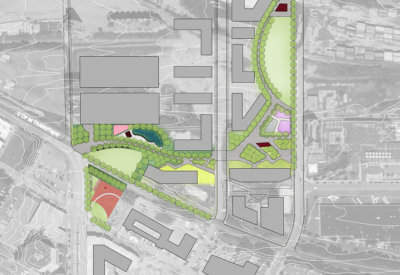 These park plans have evolved out of the City of Saint Paul's 2008 Westgate Station Area Public Realm Plan. 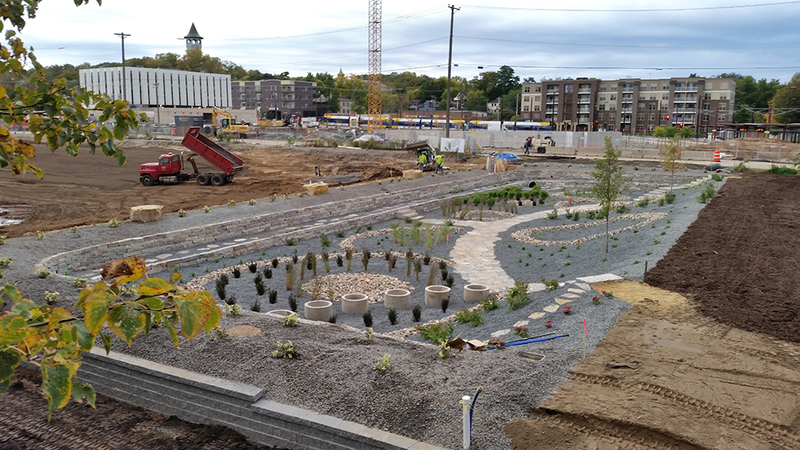 Visit Saint Paul Parks and Recreation's New Park at Westgate project site for the latest information. 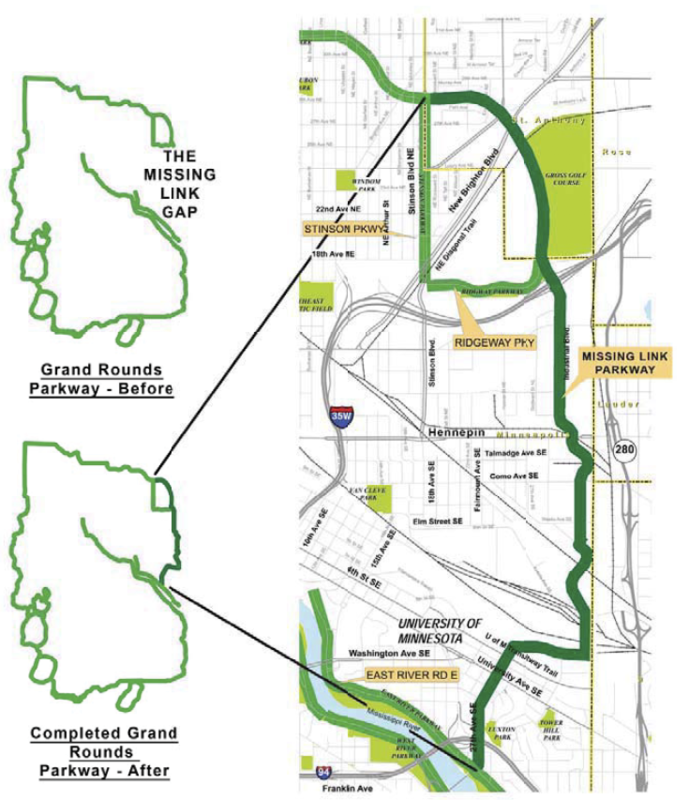 The continuous “green necklace” of parkways and open space around Minneapolis and Saint Paul begun in 1883 has grown link by link to become the Grand Rounds National Scenic Byway. 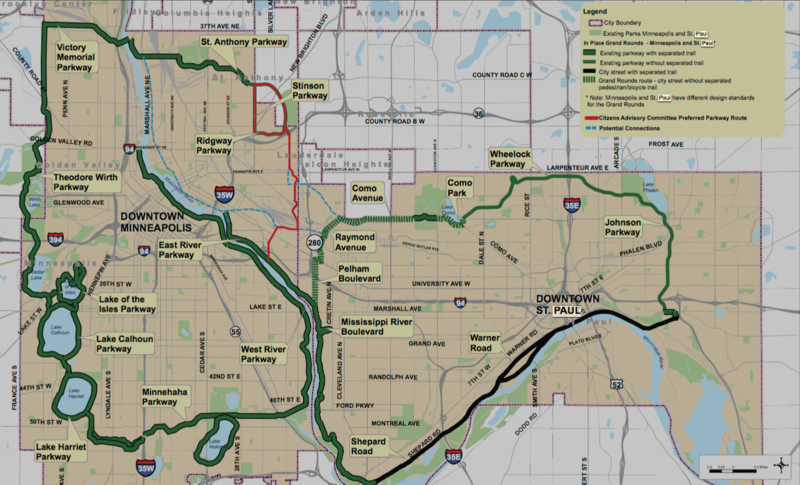 Today it features over 50 miles of parkway, bicycle and pedestrian trails and park amenities in each city, and attracts over 14 million visits each year. However, a 3-mile gap remains in the area north of I-94 and east of the Mississippi River. 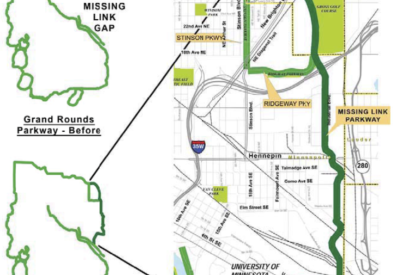 In 2007 the MPRB’s Comprehensive Plan designated completion of the Missing Link as a major initiative and work began anew and unanimously approved the Grand Rounds Missing Link route alignment in 2008. 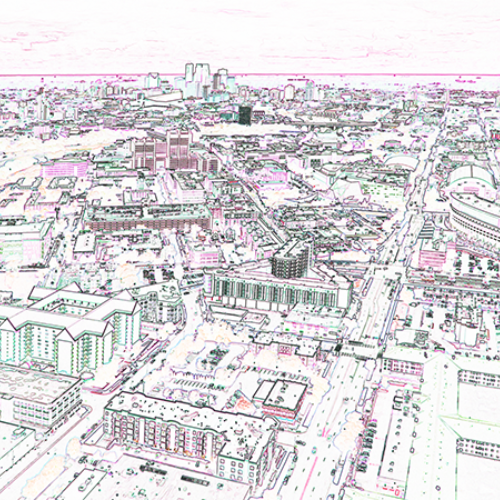 The concept of creating an Innovation District is at the heart of the Towerside vision. 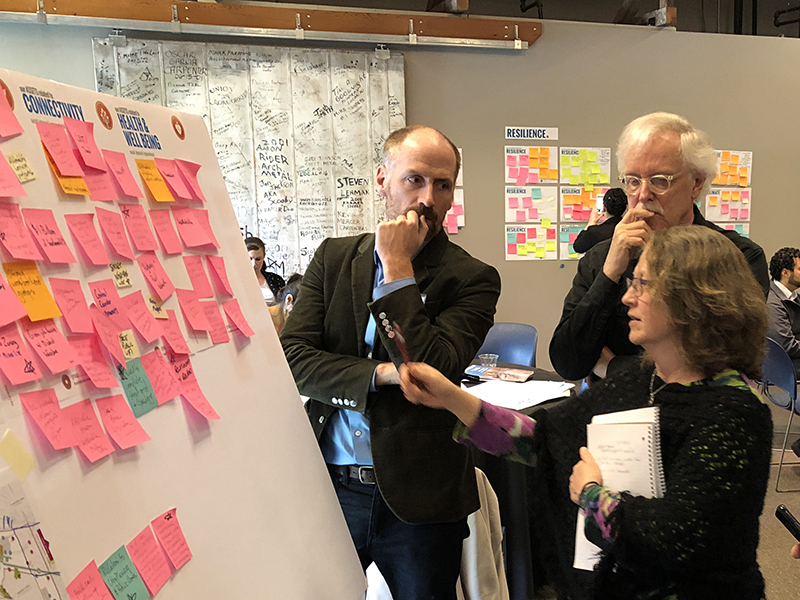 In order to create this living laboratory that will foster equitable economic development and test new ideas in urban living, new tools for district-scale planning and implementation are needed. To identify and create these crucial tools the Towerside Innovation District, with support from the Enterprise Community Partners and the McKnight Foundation, commissioned the Minnesota Design Center to review dozens of past planning documents for this area and engage with hundreds of public and private stakeholders to develop this milestone planning document. 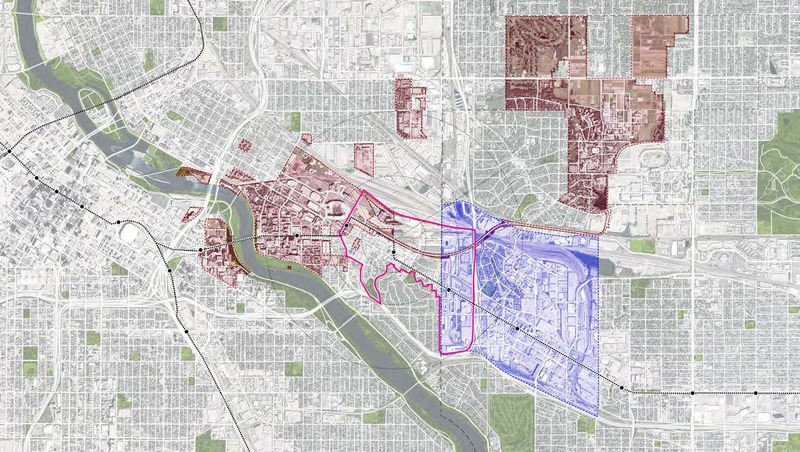 The purpose of this document is to establish a shared framework for the Towerside Innovation District that is consistent with the goals and plans for the Saint Anthony Park neighborhood in Saint Paul, the Prospect Park neighborhood in Minneapolis, and the University of Minnesota. 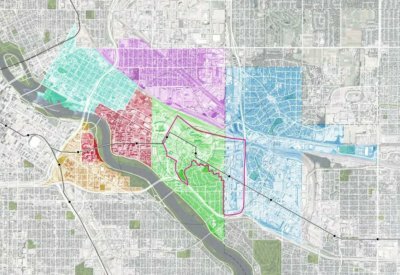 The first application of the framework is to inform the 2040 Comprehensive Plans for the Cities of Saint Paul and Minneapolis. Sustainable and efficient energy solutions have been a key principle of the Towerside Innovation District since the vision began taking shape through community planning. With the partners committed to an innovative district approach, it was clear that district energy would help the local businesses and the neighborhood meet their goals. 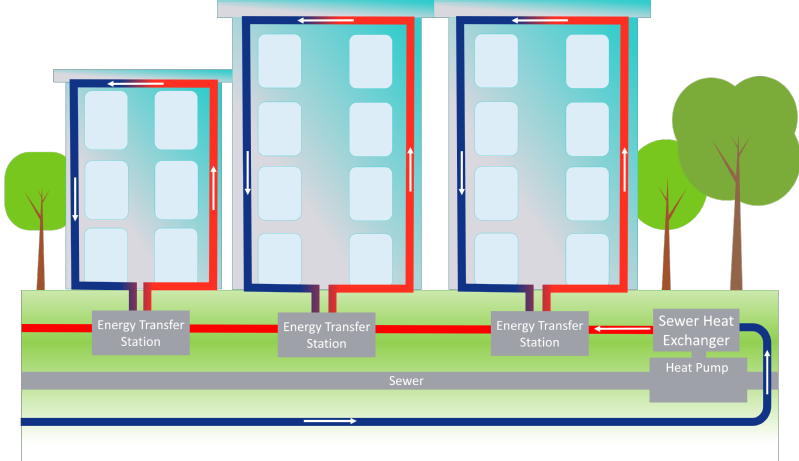 A district energy system connects multiple users together, allowing them to benefit from shared efficiencies and gain access to fuels and technologies not easily available to individual buildings. 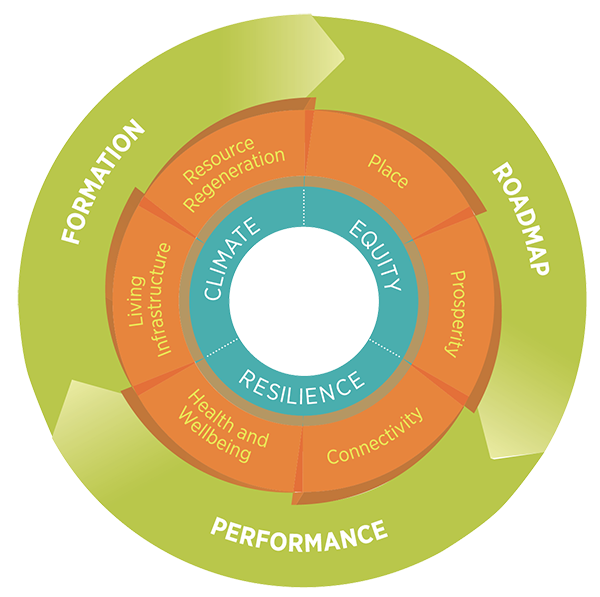 This shared infrastructure creates a cost-effective model that will lower greenhouse gas emissions and increase the economic and climate resilience of the neighborhood. To ultimately serve the needs of the district, the district energy approach needs to create stable and affordable rates for users, keeping in mind the diversity of residents and businesses that will rely on the system. This solution also needs to promote efficiency, create opportunities to use local and renewable resources, and establish a showcase for smart and sustainable community energy systems. 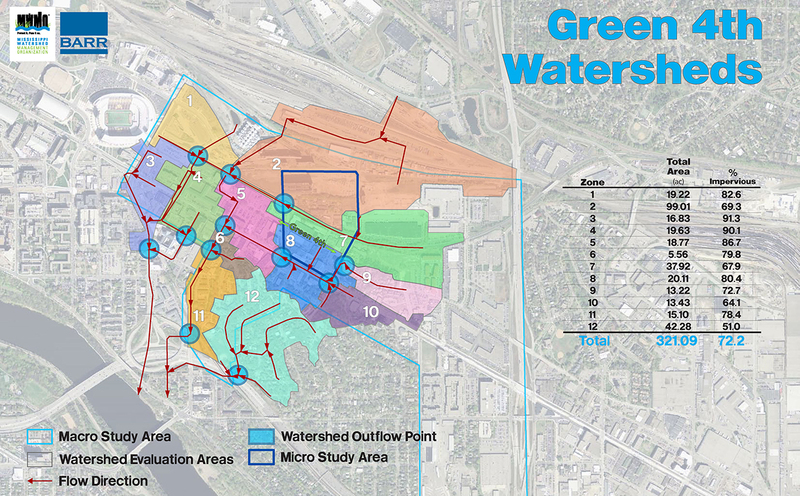 After several years of analyzing the options for this community, the technical team recommended a low-temperature district heating and cooling system, using recovered energy from the local wastewater system as its primary source. When compared to the least-cost, stand-alone system options for buildings, this approach would be less expensive and produce at least 19% less greenhouse gas (GHG) emissions. The longer-term energy vision for the area includes the addition of other renewable solutions, thermal storage, and energy efficiency options, including solar photovoltaic and solar thermal technologies. 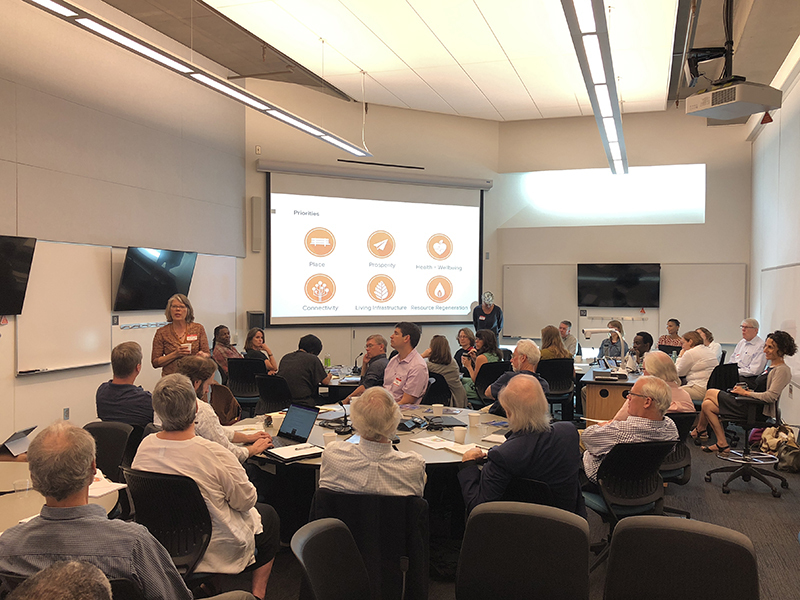 The district energy approach relies on 4 key components: 1) cost-effective design for building efficiency; 2) shared distribution system; 3) renewable energy from the wastewater system; and 4) a flexible framework for future integration. To move this forward, an underground distribution system must be installed during re-development in this area, which is time sensitive. Additionally, an energy transfer station will be constructed to capture energy from the wastewater system. The wastewater flowing through the system in this area can retain an immense amount of latent energy, which can be withdrawn from the wastewater system and transferred into a low-temperature district energy system. This energy is then carried through the low-temperature district energy system to the end users where the water temperature is raised or lowered to be used for heating or cooling. 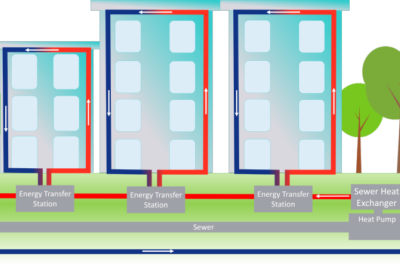 The system design maximizes the use of this renewable source, but will also depend on backup systems to fortify the heating and cooling needs. Future incorporation of renewables will enhance the economic and environmental benefits of the system. 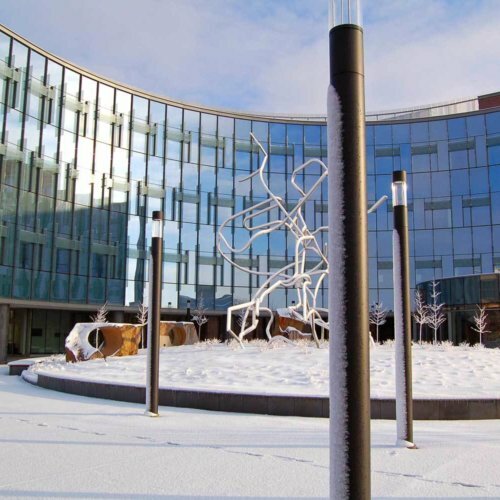 Implementation of a low-temperature district energy system in the Towerside Innovation District is the first step toward achieving the energy vision for the District, and creating a sustainability showcase. The initial system will provide economic benefits to developers, building owners, and tenants, while establishing a platform for leveraging future renewable and efficient sources of energy, including solar and combined heat and power. 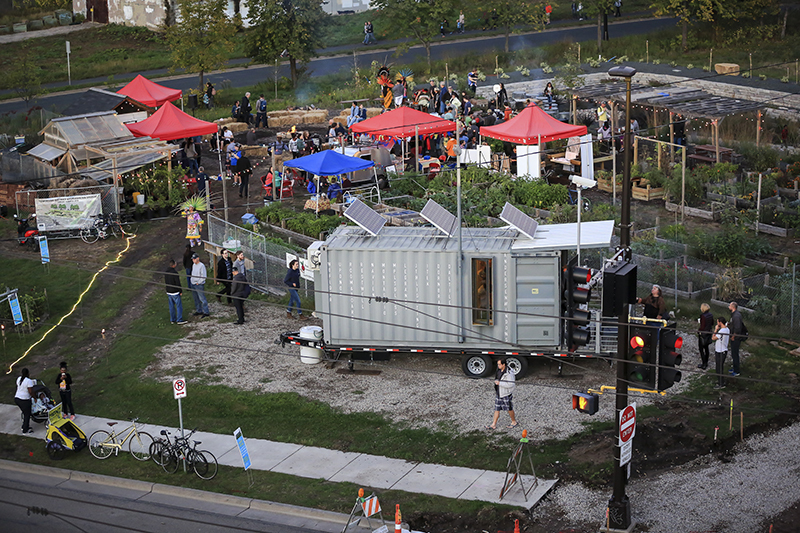 Ultimately, this has the potential to serve as a living lab and a model for other communities interested in energy as an economic development tool and shared social asset. 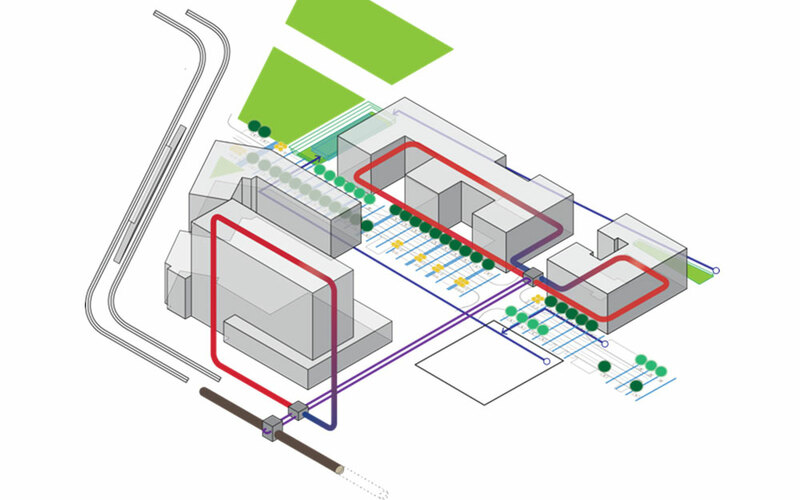 An Integrated Utility Hub (IUH) is a holistic solution that integrates industry-leading resource recovery, water purification, waste-to-energy, and food production technologies within a single facility. It transforms conventional municipal liabilities (solid and liquid waste) into valuable assets for local use: ultra-pure potable water, renewable energies, nutrient-rich fertilizer, ultra-fresh food, and high purity reclaimed materials. Because of integration and closed-loop processing the system is highly viable at smaller and more distributed scales, putting it at the sweet spot between decentralized (building scale) and fully centralized (treatment plant) approaches. 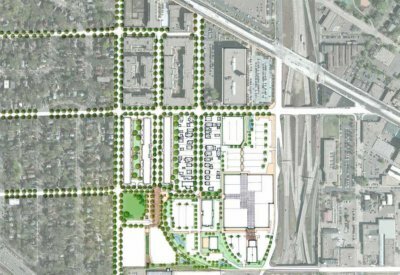 The proposed Hub could serve a 30-acre parcel within Towerside and would support 1.4 million square feet of new development. Sited in the basement of a building within the development, it would treat all stormwater collected from the site (11 million gal/yr) and accommodate a 100-year storm event. 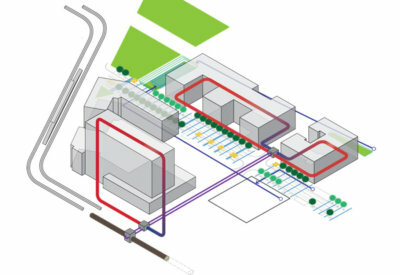 It would also collect wastewater from a nearby sewer main line and organics from the surrounding area to generate electricity and heat to not only power the stormwater treatment process, but also fulfill the site’s annual energy demands. An IUH to these specifications would cost approximately $21 million. With system updates accounted for in annual operating expenses, the IUH becomes profitable in year 12 and remains profitable ever after. It would never have to find capital, issue new bonds, or face funding gaps. 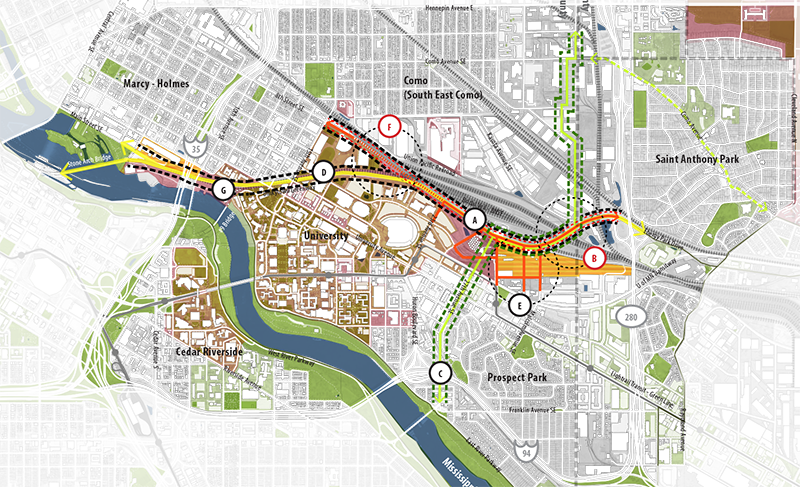 The future Granary Corridor, a proposed east-west combined bike, pedestrian and roadway extending from the Stone Arch Bridge through the SEMI district to Highway 280 and Saint Paul. 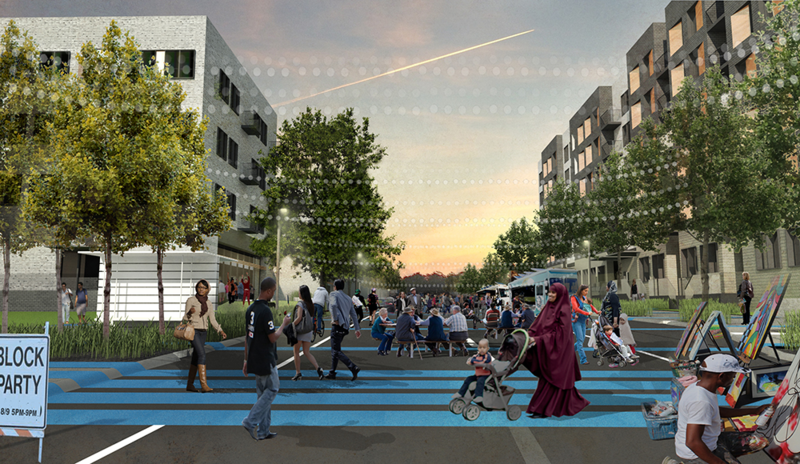 Granary has been envisioned as a fluid public realm connecting and supporting access to education, research, employment, diverse housing types and neighborhoods, and cultural and recreational activities. A district-wide parking approach allows all users (vehicles) within a geographical area to utilize parking reservoirs. 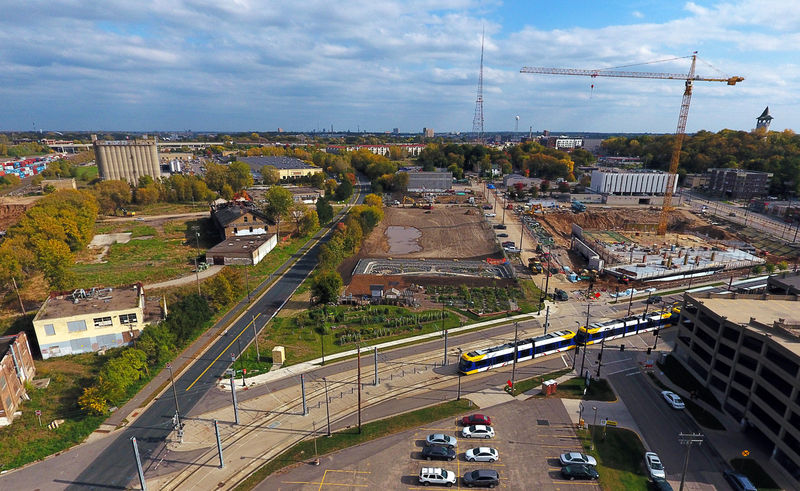 Metro Transit, in partnership with Towerside developed a district-wide parking framework for the 370-acre Towerside Innovation District. The Framework explores innovative parking strategies that align with near and longterm (re)development efforts. The Framework also lays the foundation for implementing various district-wide parking approaches. 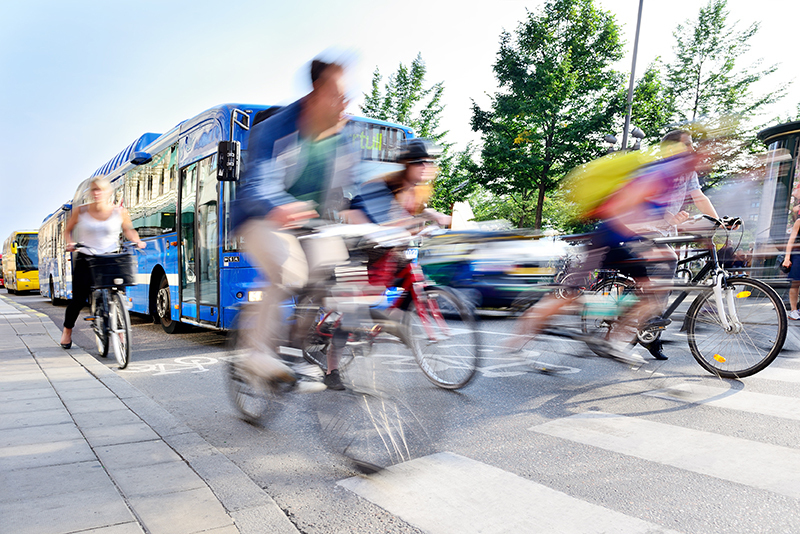 Each approach takes into consideration a reduction in parking to support active modes of transportation (e.g., walking, biking, transit, and carpooling). 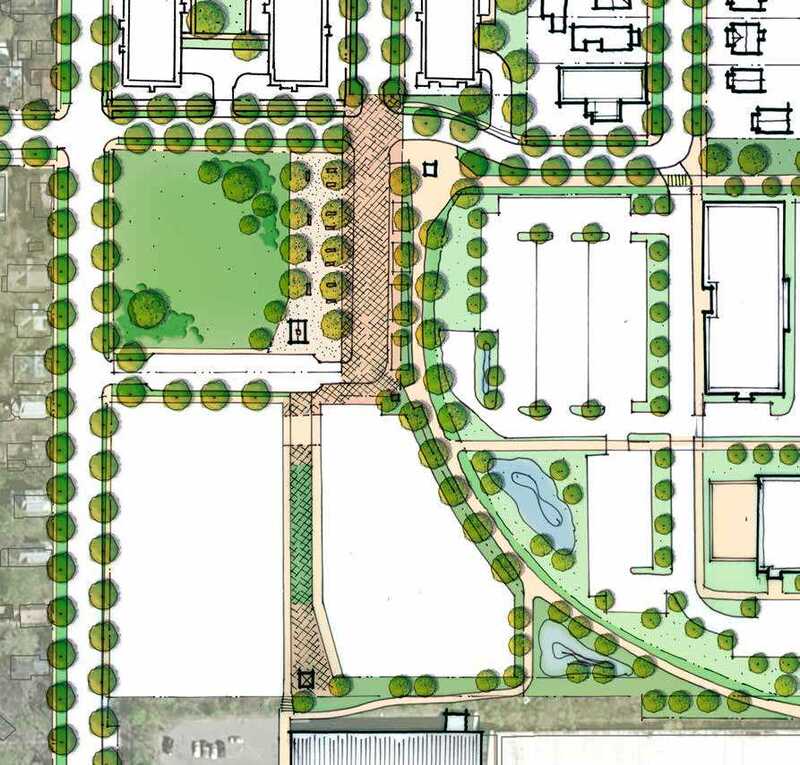 Overall, this approach to parking helps reduce the need to build parking facilities for each individual development. In turn, land is utilized for its highest and best use. This Framework is built on existing planning efforts, best practices, precedent examples, and research. 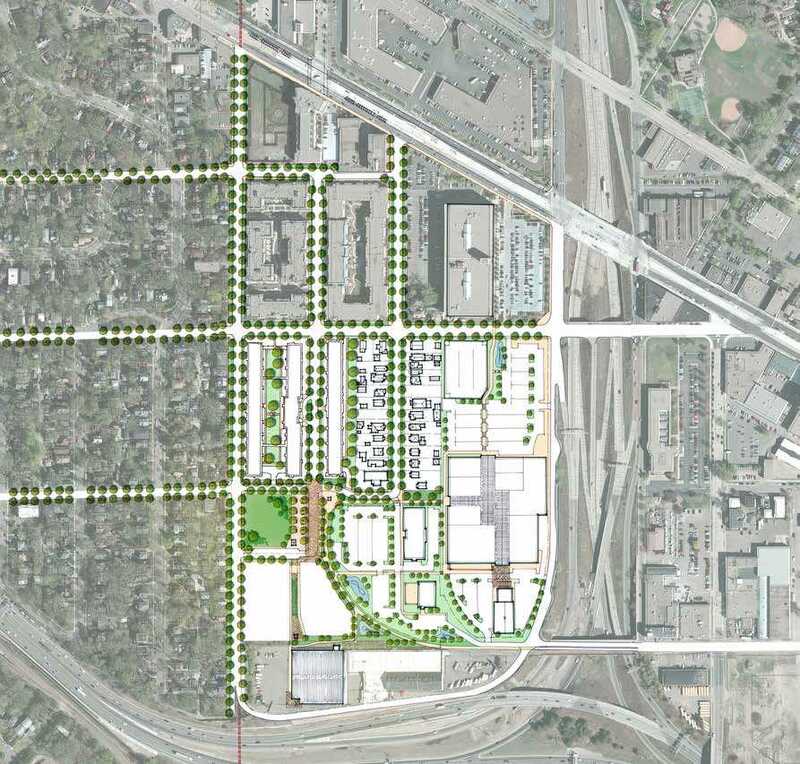 The Framework is also designed to serve as a resource for other neighborhoods and Transit Oriented Development districts within the region that may be candidates for a district-wide parking approach. 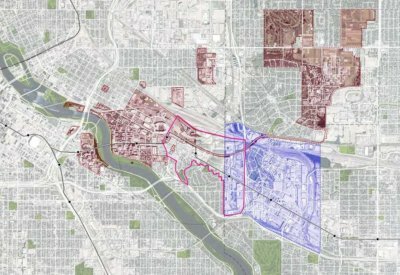 The planning process was guided by a Technical Advisory Committee, which included representation from the Metropolitan Council, City of Minneapolis, City of Saint Paul, University of Minnesota, and the Prospect North Partnership. Stakeholder interviews were also a contributing factor to the planning process. 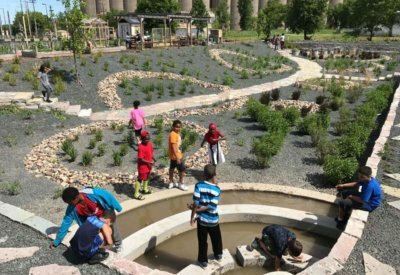 The report concludes that a district-wide approach provides a wealth of opportunities for planning elements to coalesce with one another, while supporting a vibrant and prosperous environment. 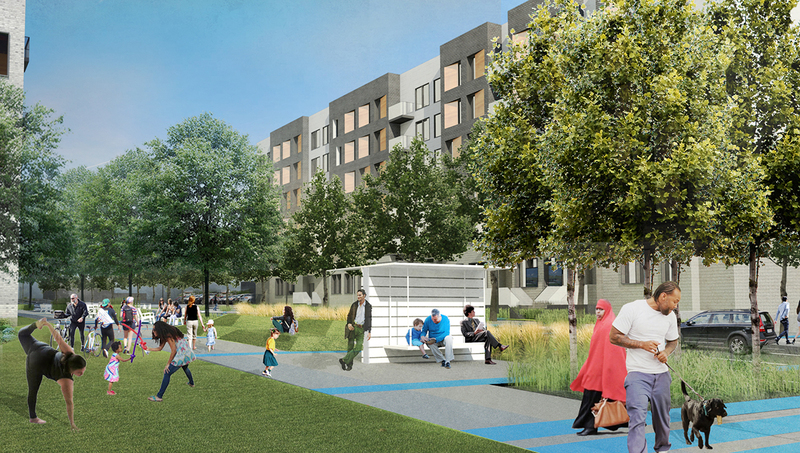 Towerside's district-approach goes beyond traditional brick-and-mortar solutions to city-building and is creating a more diverse and integrated range of solutions to empower social vibrancy and restore ecological health. 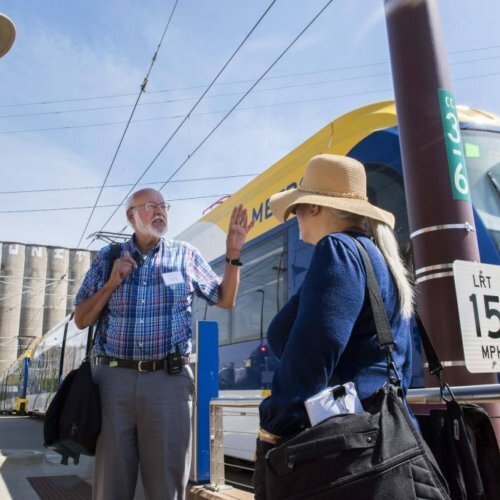 These are the competitive advantages that will help Minneapolis and Saint Paul compete in the global economy, attract talent and investment, embrace aging and historically disenfranchised populations, restore cultural integrity, enhance prosperity, and respond intelligently to a rapidly changing climate. The more direct benefits Towerside’s work can have for real people today, and the more agency they have in the process, the more positive impact it will have 100 years from today. When a community understands itself and rallies for a common purpose, great outcomes are always possible. Towerside works with community partners to enhance resident engagement in the District’s projects. 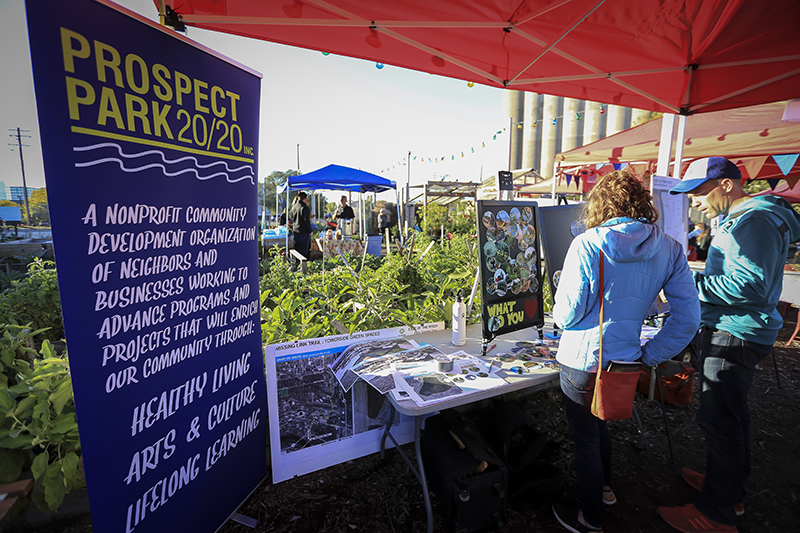 Over 300 residents directly participated in the Prospect Park Association comprehensive plan outreach including surveys, walking tours and visioning sessions. 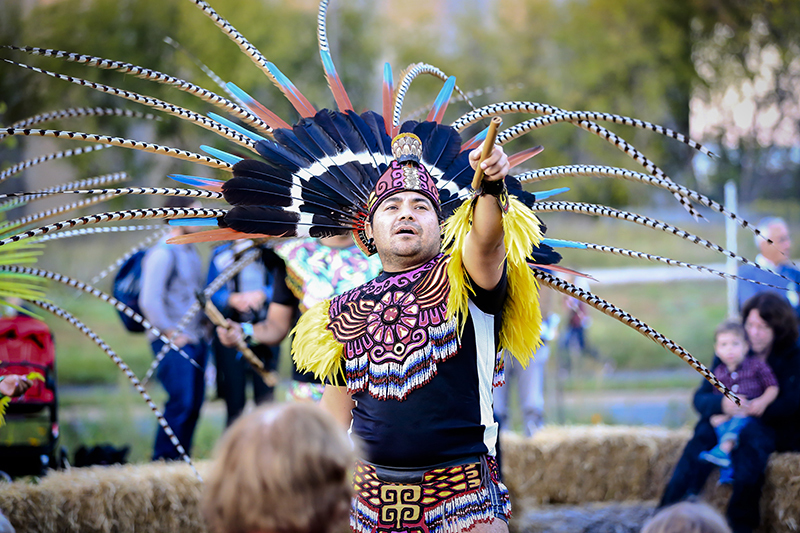 Creative Placemaking and community building strategies are also being used to bring people deeper into the work. 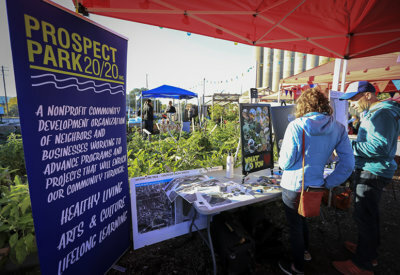 Nearly 350 people attended the third annual Harvest Festival on the site of the future Minneapolis Signature Green Space where Towerside unveiled a large-scale model of the park project to answer questions and engage residents in imagining what it could and should become. 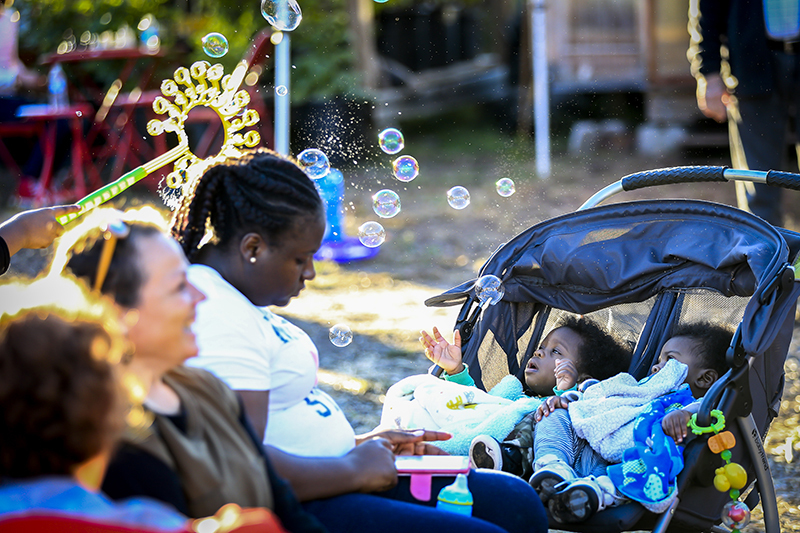 These are the kind of on-the-ground connections that transform a space into a place that has heart and meaning. The Towerside Innovation District represents the most forward thinking and cutting edge methods to building a community in the 21st Century and doing it intentionally for 22nd Century needs and opportunities. 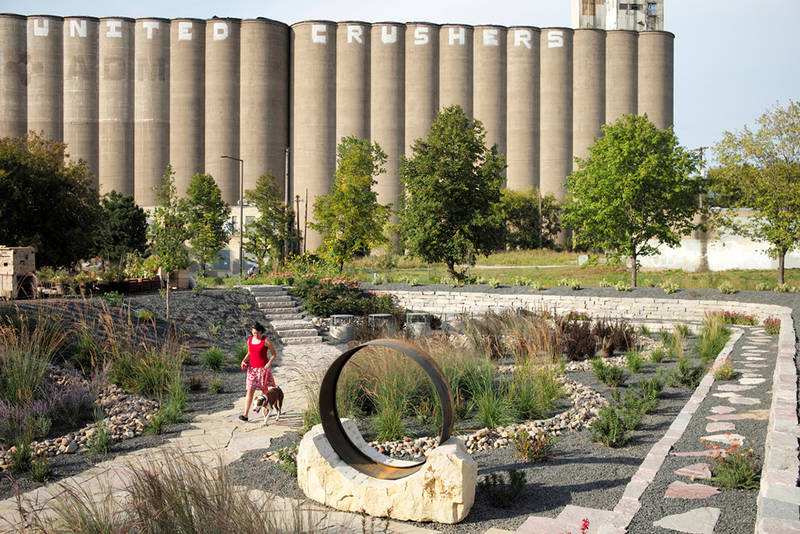 All of the things that are created in Towerside - from buildings and infrastructure to jobs and public spaces - and how they are made, will shape the future of the Twin Cities physically, environmentally, socially, economically, and politically. That future can be one that delivers as much positive impact to as many people as possible, or it can reinforce current norms that cater to those with influence and resources – to the exclusion of those without. This is not a philosophical question but a real choice that is made consciously or not. The reality is that we are living in a time of the most rapid technological and urban changes in history; bring to the fore critical and systemic issues in our communities as they grow more diverse and complex. 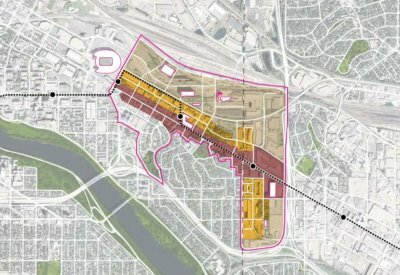 The Innovation District’s geography, its unique location and development potential, as well as its visionary partners from multiple sectors make Towerside one of the most compelling and difficult community and economic development growth opportunity the Twin Cities and the Upper Midwest will have for generations. Fundamental to Towerside’s vision is a district developed & built as a fully diverse and equitable place to live, work & play for the full range of residents in our community. However, investment in the Innovation District has already begun. Thousands of housing units are underway and the beginnings of integrated infrastructure systems are in place, with more development on the way. 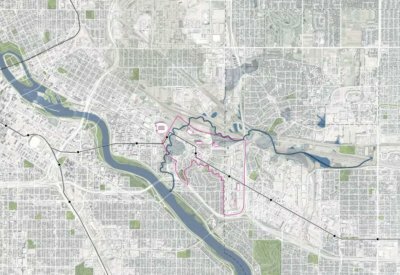 If this work is guided by a district approach to development, the outcomes and impact of these investments can achieve key equity outcomes for the cities of Minneapolis and Saint Paul. For Towerside, equity is not just the right thing to do; equity is what the district needs to be successful. 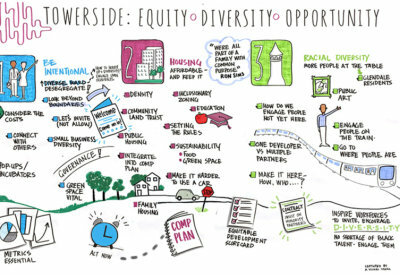 As PolicyLink demonstrates, “equity is the superior growth model.” This is not only true for the country as a whole, but also for Towerside specifically. Furthermore, equity is not a separate “add-on” to the Towerside vision. Rather, equity is part and parcel of the success of every other part of the vision, from arts and culture to research and innovation and economic competitiveness. 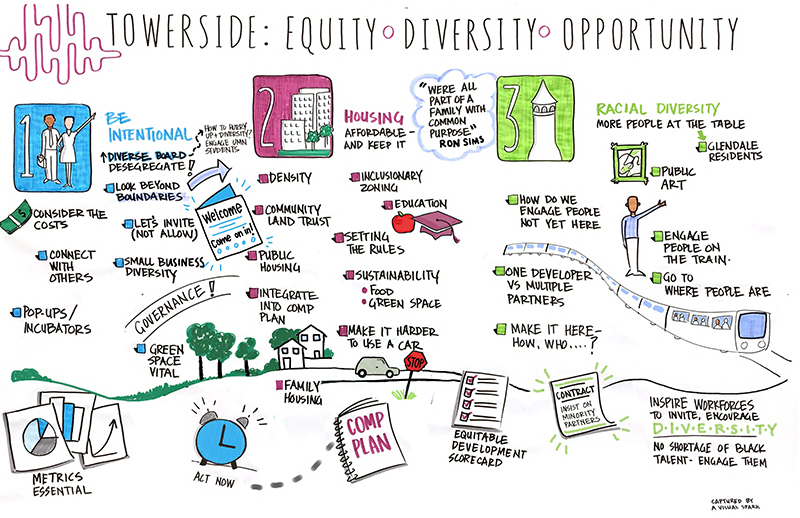 By carrying out these components in an equitable, diverse and inclusive way, Towerside will become the innovative community of the future that is envisioned. Towerside leaders are currently working to create procedural and structural equity by expanding and diversifying it’s Board of Directors in order to open the decision-making process and bring more transparency to the work. 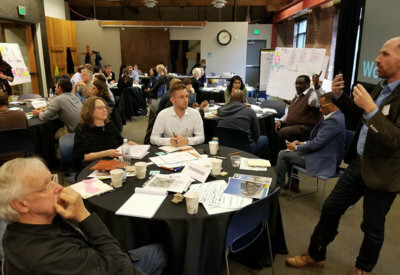 EcoDistricts is the only national non-profit organization dedicated to supporting the creation and implementation of successful neighborhood and district-scale projects. 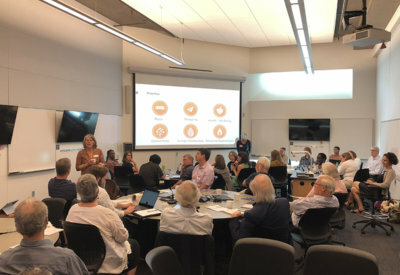 Since 2013, EcoDistricts has formed an international network with thousands of district-scale practitioners, which now serves as the primary platform for knowledge exchange and collaboration in this field. 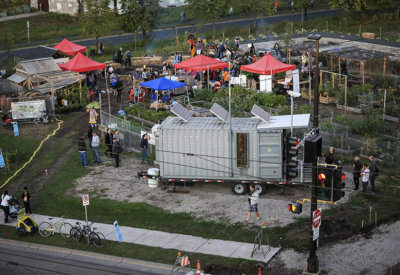 To support a broad range of neighborhood and district-scale projects the EcoDistricts Protocol was created.  It is a customizable structure underpinned by a rigorous process and is based on seven years of research, pilot projects, and the best thinking from diverse community and technical advisors. 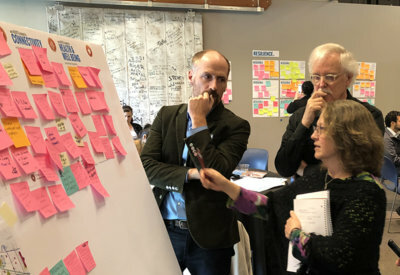 The Protocol is grounded in the practice of collective impact, an innovative and structured approach to making collaboration work across government, business, philanthropy, non-profit organizations and citizens to achieve significant and lasting social change. 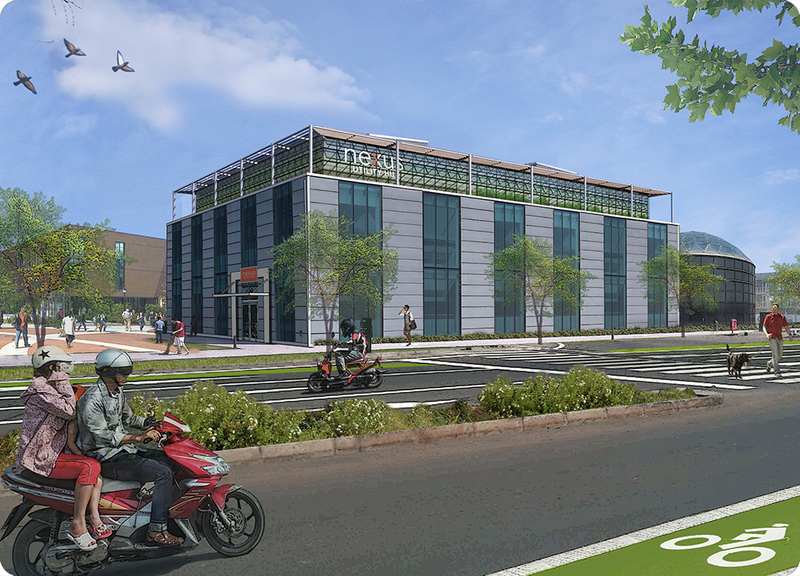 The Protocol and EcoDistricts Certified are more than a LEED-like checklist standard. 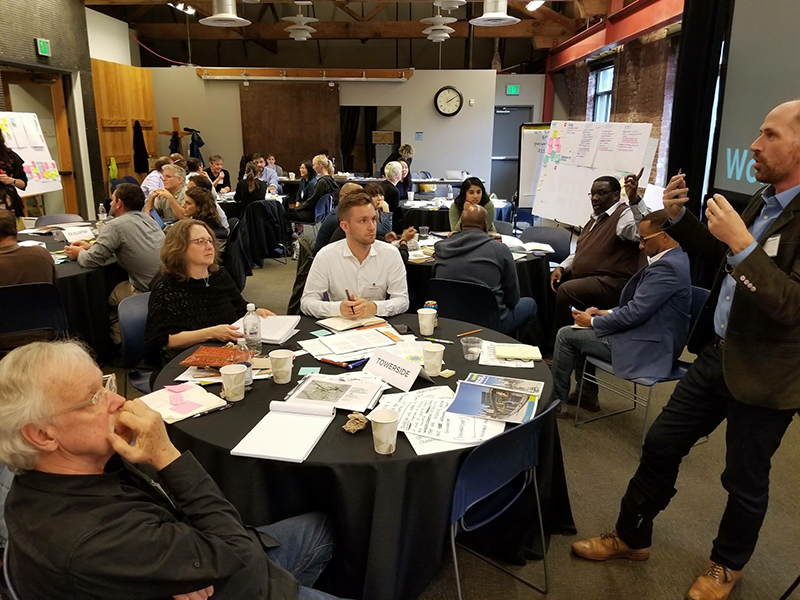 EcoDistricts Certified provides a flexible, holistic, and rigorous “how to” framework for organizing and achieving important public policy, sustainability, and investment goals. 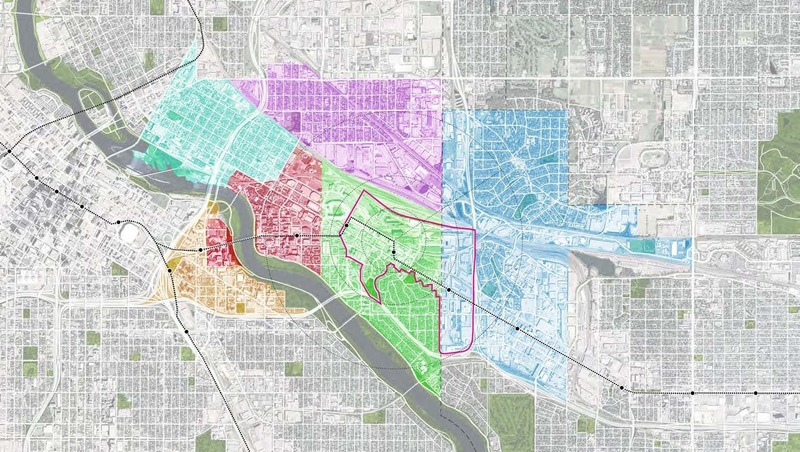 EcoDistricts Certified is the formal adoption and application of the Protocol. It is a powerful tool to move projects from vision to reality and create neighborhoods for all. In every city, people want better neighborhoods. Getting there is tough. Developers want to implement projects. Community members want a seat at the table. Policymakers want their vision to come to life. Investors want to leverage their resources. EcoDistricts Certified is where they meet. Track and measure impact over time. Each step is submitted to third-party verifiers to ensure transparency and accountability. 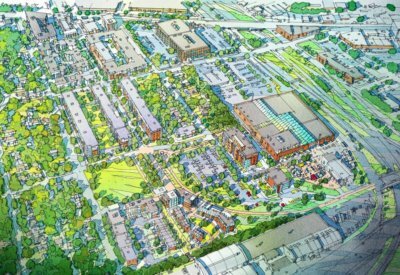 Dozens of new development projects have been completed or are underway within the Innovation District – together representing nearly $1 Billion of investment. Towerside has leveraged over $6 Million of investments between the partners, local philanthropy, and public sector for district initiatives and projects. 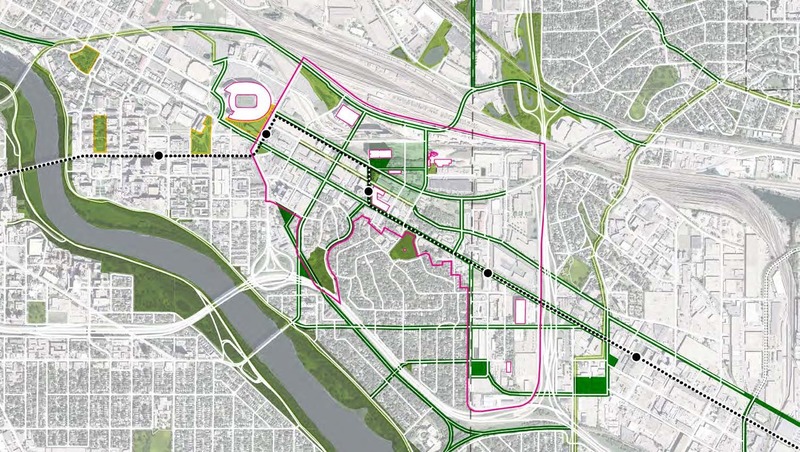 The 11-mile light rail line completed in 2014 runs between ten diverse neighborhoods, and connects the central business districts of Minneapolis and Saint Paul, and the University of Minnesota. It has been celebrated as a model for how infrastructure can connect people to places and the opportunities they offer. 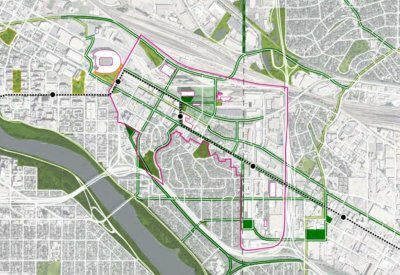 $5.8 billion in development has been announced, under construction or already built along the Green Line between 2014-2018. More than half of this growth occurred outside the downtown cores, with a large concentration in the Towerside Innovation District. 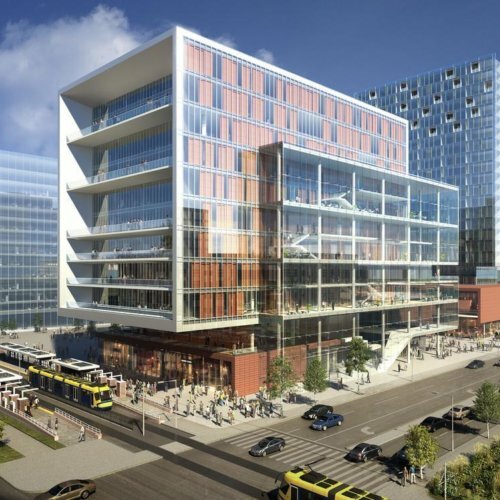 The University of Minnesota’s Academic Health Center developed a vision for a new Biomedical Discovery District (BDD) and secured funding for the $292 million investment. Nulla vitae elit libero, a pharetra augue. Cras justo odio, dapibus ac facilisis in, egestas eget quam. Aenean lacinia bibendum nulla sed consectetur. Aenean eu leo quam. Pellentesque ornare sem lacinia quam venenatis vestibulum. Cras mattis consectetur purus sit amet fermentum. 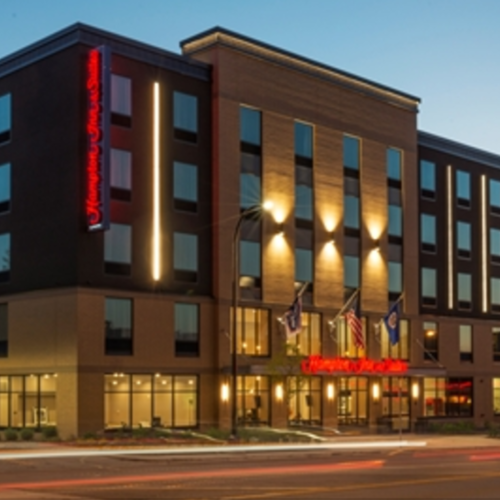 Prospect Park Properties opened the 5 story, 117 room Hampton Inn Hotel on September 30, 2016. The hotel is located on University Avenue one block from the Prospect Park Green Line LRT Station. 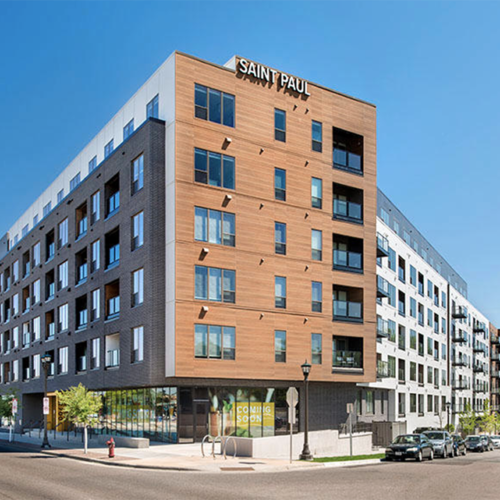 Flaherty & Collins completed the $54 million housing and retail development at 2700 University Avenue West, St. Paul in 2016. Located at the intersection of University and Emerald Street, the property includes 248 apartments and about 3,000 sqft of retail space. 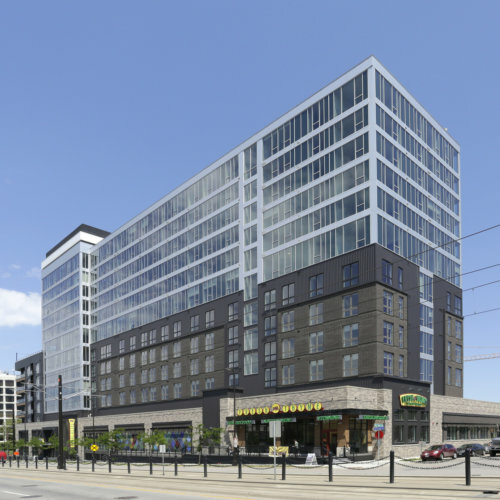 Harlem Irving completed the first large mixed use project in the District which includes 150 market-rate apartments, 186 luxury apartments, a 30,200 sqft grocery store, a 1,100 sqft liquor store and 9,150 sqft. The development is a single structure of 527,151 sqft divided into two sections; a 6-story low rise wing and a 14-story tower. 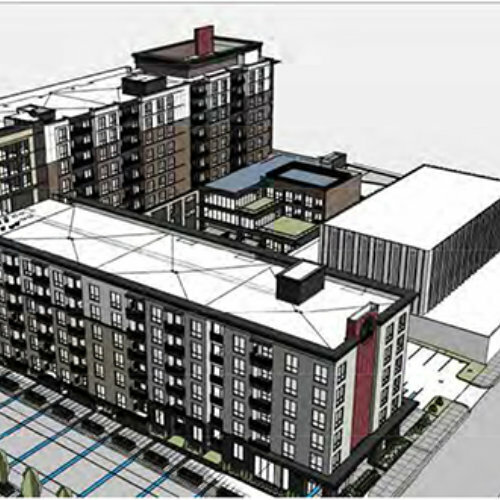 Aeon is delivering a 5 story, 70 unit development transforming an underutilized site. The Louis will provide permanent supportive housing to 7 households with dependent children who have been homeless or are at risk of homelessness. The building design will implement Universal Design strategies throughout. 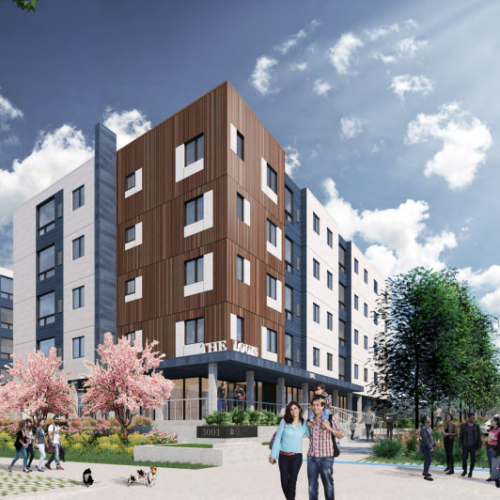 Timberland Partners & Prospect Park Properties are delivering a $53.8 million, 233 unit project offering a mix of workforce and market-rate apartments. 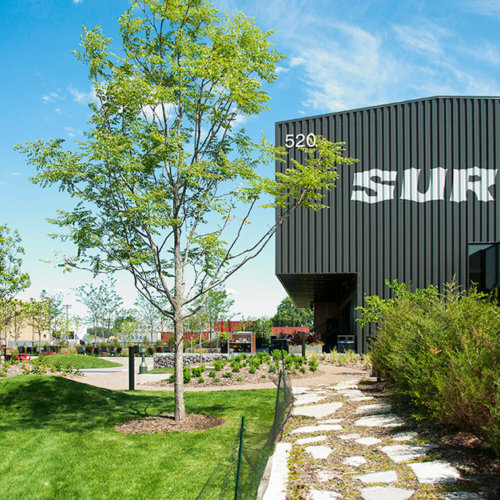 The former industrial site is just 400 feet from the Prospect Park Green Line LRT Station, and a block from University Avenue. Oppidan & Ebenezer’s Prospect Park senior living will be an urban oasis for residents looking to enjoy a city lifestyle in a senior friendly community. All independent and assisted living apartments will be flexible to allow for residents to continue living in their home despite changing health care needs. 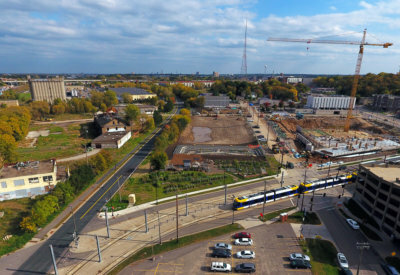 A Joint Venture of United Properties & UMN, the project includes two office buildings, a dual-branded hotel, alumni-focused multifamily housing, retail and restaurants at the street level, all at the Stadium Village Green Line LRT Station across the street from TCF Bank Stadium. 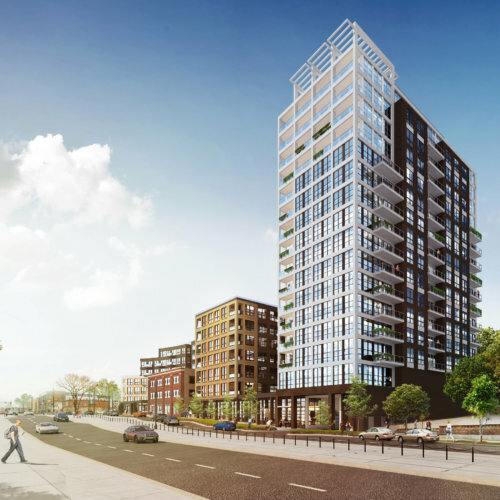 Harlem Irving’s second project in Towerside is a 6 story, 163 unit development. 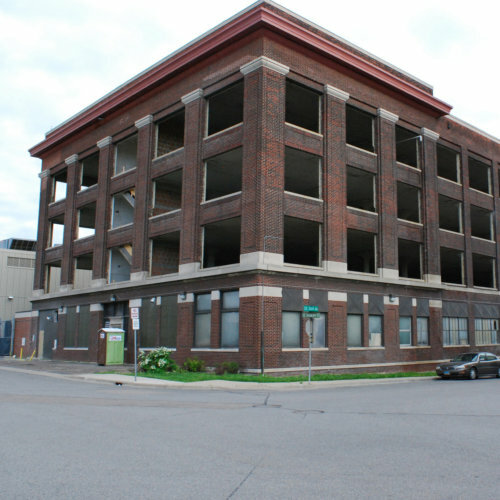 The 4th Street Lofts are located adjacent to the Prospect Park Green Line LRT Station. The first floor will contain parking and amenities for the residents. 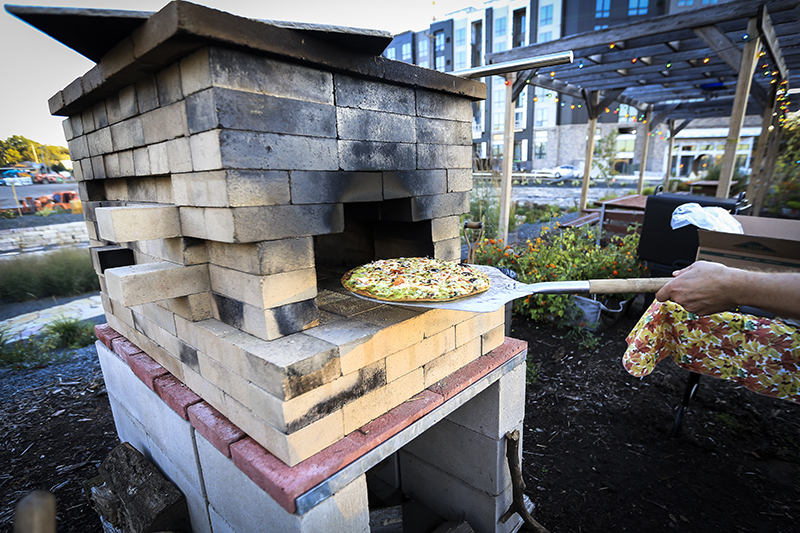 Motley is an inspired gateway on the western edge of Minneapolis’ Prospect Park neighborhood – where the University meets the community. It is alive with activities and attractions during all seasons, day and night. This is the place where neighbors, travelers, students, researchers, healers, spectators, academics, workers and innovators choose to gather. Malcolm Yards Market will be SE Minneapolis’ new urban food hall. 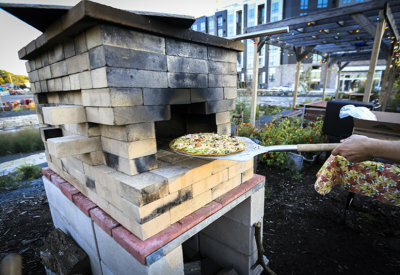 Malcolm Yards Market will bring a new unique flavor and style to a developing area. An industrial-chic gathering place, it will offer a broad range of different dining styles. 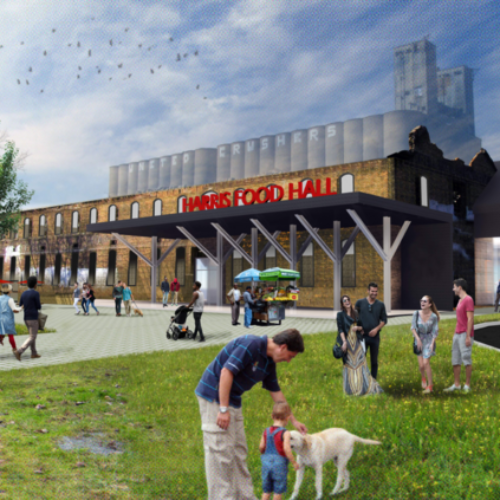 Phase one’s three buildings on the northwest side of Towerside include a renovation of the dilapidated Harris Machinery building into an urban food hall, as well as the creation of a mixed-use commercial and 149 unit market-rate residential building and a six-story, 132 unit affordable housing building. 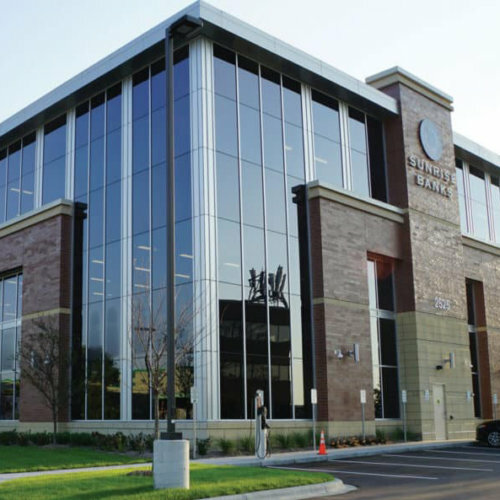 Saint Paul-based Sunrise Banks, one of the state’s largest community financial institutions, completed a 57,000 sqft headquarters for 200 employees in 2017. Suntide is delivering a 174,000 sqft, 1 story brick warehouse built by the Case Corp. in 1948 as a tractor parts distribution building. The Case Building, designed as a destination for “creative office” users and retailers, including a microbrewery with access to a long outdoor patio. 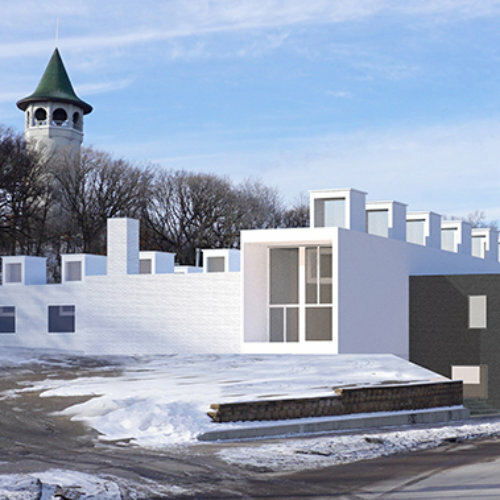 Located at the gateway to Minneapolis, Vermilion’s first Twin Cities development looks to build on the creative-minded foundation of the Arts & Architecture building. 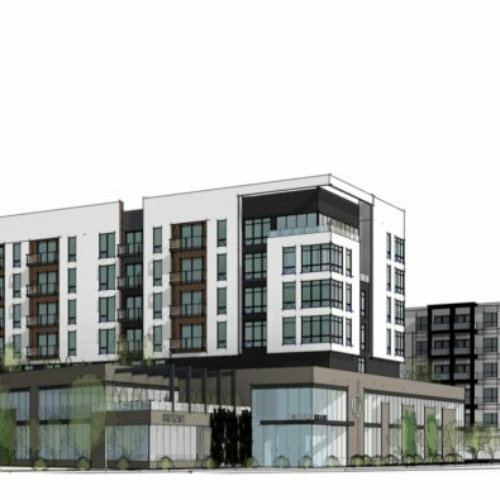 The mixed-use project, containing condominiums, apartments, ground floor retail, and renovated loft office space, will bring a new energy to University Avenue. 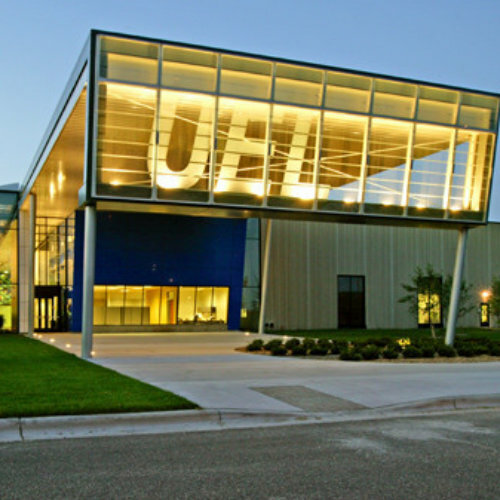 University Enterprise Laboratories is at the heart of Minnesota’s bioscience industry. First established in 2014 and currently creating a 18,000 sqft addition onto its existing 125,000 sqft building for additional lab space. 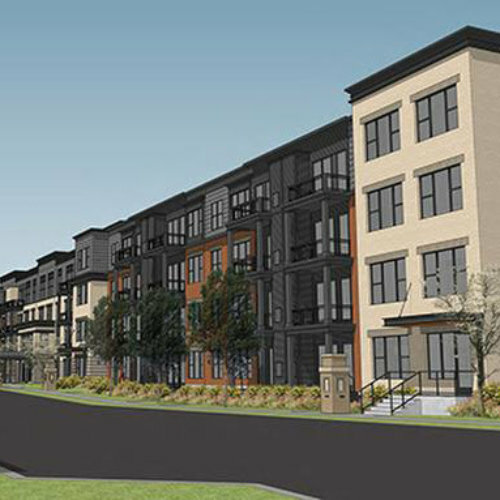 Dominium’s redevelopment of the Weyerhaeuser site includes The Legends at Berry, 241 affordable apartments for seniors, and Millberry, 121 housing apartments for families. 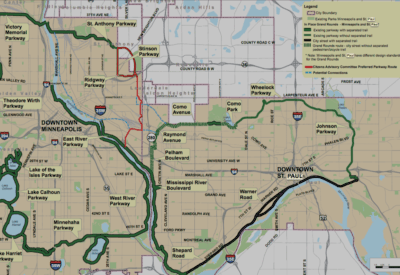 The development includes a park and a bike trail, along with three roads to be dedicated to the city of Saint Paul upon construction completion. Textile Center is advancing an iconic new arts center concept. The new space will include classrooms and flex spaces, museum-quality exhibition venue, state of the art dye lab, library, auditorium, artisan retail, and more. Hubbard Broadcasting hopes to create a vibrant development with a focus on 21st century jobs and market drivers that integrate within the vision of the neighborhood and Towerside. The property is shovel ready; environmental remediation to a residential standard has been completed. 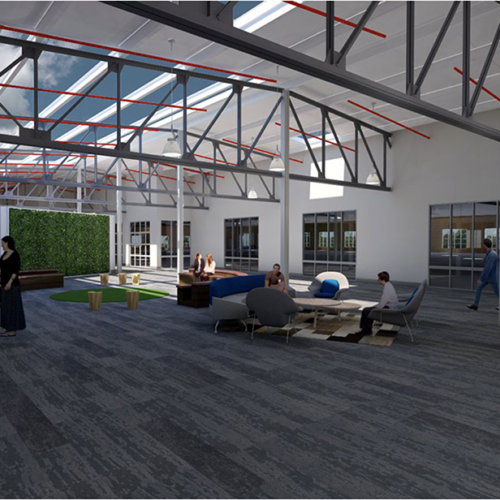 Maxwell Ventures is completing a project that includes refurbishing two existing buildings on the site that were the former Mohawk Aircraft Corp. Factory. One is a four-story brick structure identified as the Maxwell building and one is a two-story, steel warehouse building. Together the buildings will be converted to 135 market-rate units. Towerside Innovation District is a once in a lifetime chance to build the neighborhood of tomorrow, instead of yesterdays. 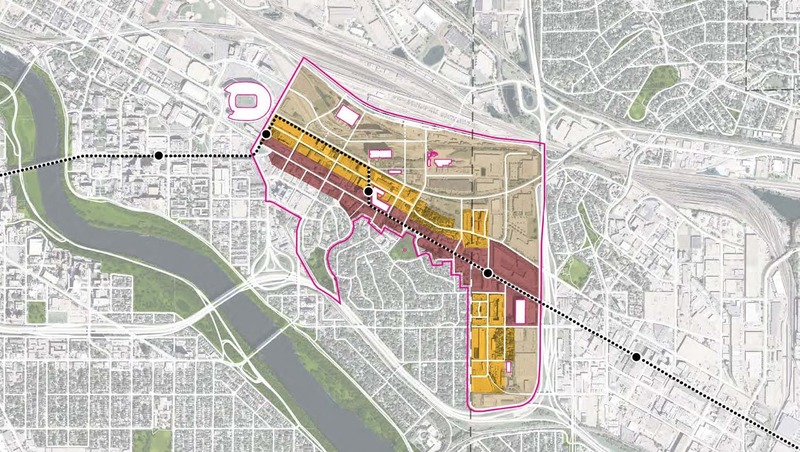 There is unequaled opportunity for the Innovation District’s central, connected location in the heart of the metropolitan area to become a hub of creative, dynamic, and innovative redevelopment. 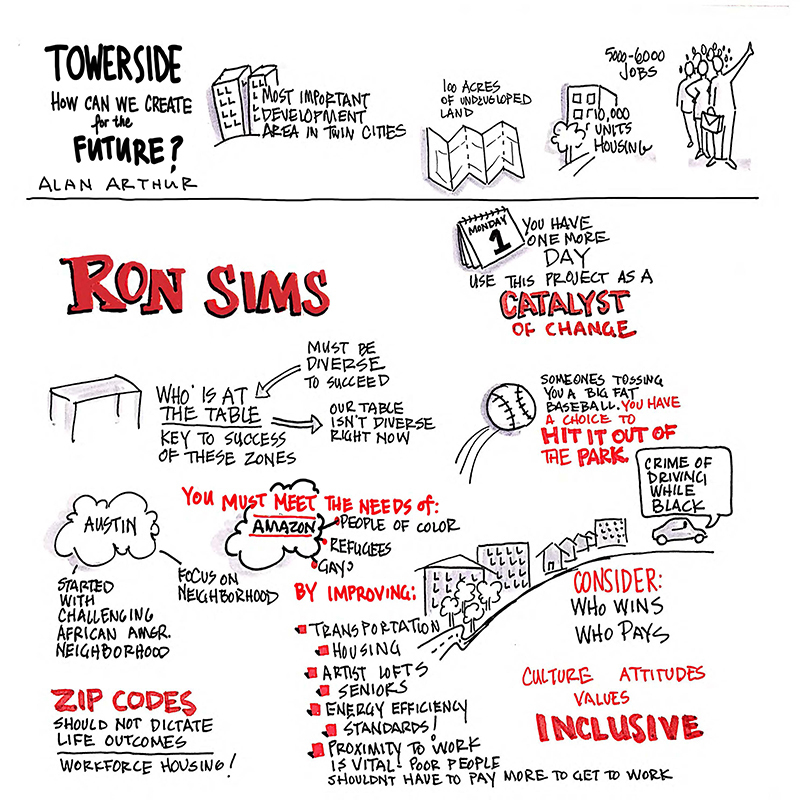 Towerside brings together diverse public and private partners who leverage the areas assets in order to move the needle and build inclusive and accessible community.